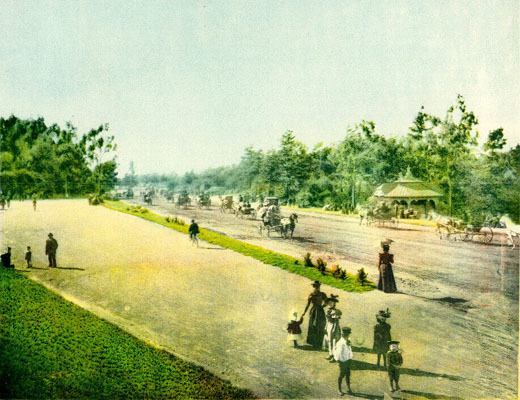 Here’s an excerpt from that story: ‘As Golden Gate Park developed in the 1870s, most of the landscaping and public structures were concentrated at the eastern end, near Stanyan Street. There were dirt roads leading out to the western end of the park and Ocean Beach, but little planting and no public structures for those who took carriage or bicycle rides to see the surf. 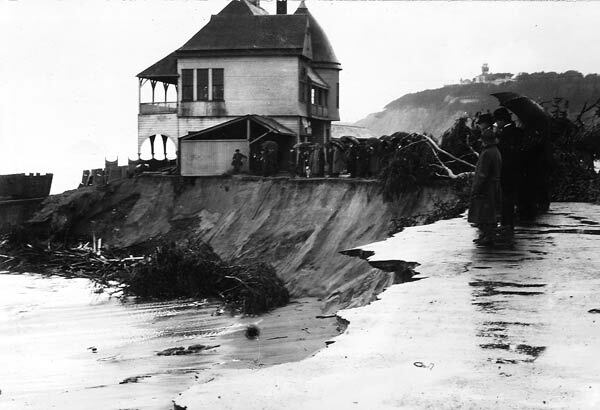 There was the Cliff House on the bluff, and at its base, a roadhouse called the Seal Rock House, and next door the Ocean Beach Pavilion for dancing. All these early building were more associated with entertaining adults than providing genteel recreation for families. After the 1906 earthquake, the Chalet was mentioned in the park superintendent’s report on damage to structures in the park, and $2,000 was requested for unspecified repairs, most likely to stabilize the foundation. The location of the structure provided wonderful views and a comfortable place to get out of the wind; yet a building situated on the beach was constantly subject to the encroaching waves, especially during winter storms. . . . The structure survived that particular storm, but eventually the building proved no match for the location too close to the ocean. 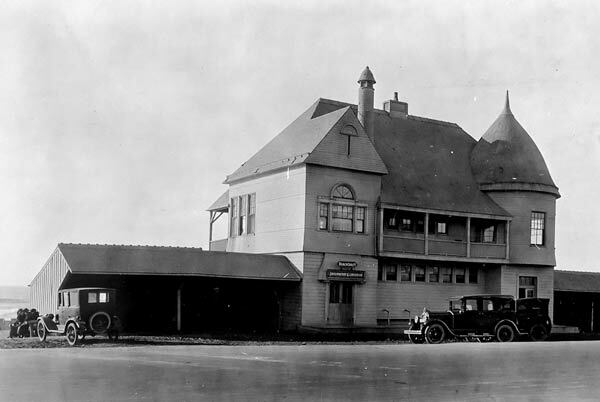 When the new Beach Chalet was completed in 1925, the older structure was moved to 24th Avenue, between Irving and Judah, given a new first floor with a large meeting hall and renamed the Sunset District Boy Scout Hall. It remained in use for community and club meetings, occasional church services and a nursery school until 1958 when it was destroyed by fire. For the complete story see: The Odyssey of the Original Beach Chalet – Western Neighborhoods Project – San Francisco History. This entry was posted in "lost" golden gate park, history and tagged golden gate park, golden gate park history, lost golden gate park. Bookmark the permalink. That’s a fascinating story! Thanks for writing it.